Forget about the so-called Peace Process, which Israeli Prime Minister Benjamin Netanyahu continues to use as a cover for Israel's territorial incursions into Palestinian Occupied Territories. Start worrying, instead, about Zionist incursions into American universities. 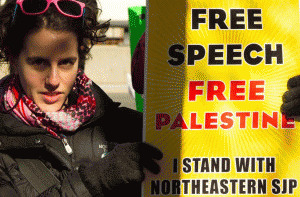 "The banning of Students for Justice in Palestine (SJP) at Northeastern University in Boston on March 7, along with a university threat of disciplinary measures against some of its members, replicates sanctions being imposed against numerous student Palestinian rights groups across the country. "The attacks, and the disturbingly similar forms of punishment, appear to be part of a coordinated effort by the Israeli government and the Israel lobby to blacklist all student groups that challenge the official Israeli narrative. "Northeastern banned the SJP chapter after it posted on campus replicas of eviction notices that are routinely put up on Palestinian homes set for Israeli demolition. The university notice of suspension says that if the SJP petitions for reinstatement next year, 'No current member of the Students for Justice in Palestine executive board may serve on the inaugural board of the new organization' and that representatives from the organization must attend university-sanctioned 'trainings.'" Northeastern is, no doubt, a university of considerable merit. It, no doubt, has faculty members who understand communications. In a delicious irony, Northeastern, a private institution which relies heavily on private and corporate funding prides itself on its communications program. That reliance is not unlike that of the U.S. Congress, whose members survive on a diet of private and corporate campaign contributions. So why does Northeastern need to ban a student group which communicates its opposition to Israel's occupation policies? Instead of commending the students for their communication skills, the university has deemed SJP to be "guilty of advocating sanctions against the state of Israel?" It is hard not to conclude that the school should instead have commended the SJP for practicing free speech when it posted replicas of eviction notices to illustrate to their fellow students one of the more flagrant examples of Zionist occupation attacks on a captive Palestinian population. Who or what prompts Northeastern's actions? 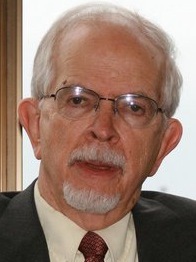 Hedges (pictured here) talked to Max Geller, a law student and a SJP member at Northeastern. "To prohibit students from holding leadership roles and student groups simply because they engaged in a peaceful political protest is antithetical to the university's mission to educate students. It erases any pedagogical value disciplinary process might seek. "In the last year, I have received death threats, been publicly and unfairly maligned, and have been threatened with disciplinary measures. This has made engaging in speech about an issue about which I care deeply, both as a Jew and an American, a fear- and anxiety-causing prospect." Hedge fund billionaire Seth Klarman, referenced above by Geller, is a relative newcomer to the Zionist cause. He made his first trip to Israel seven years ago. However with the establishment of his new Jerusalem-based on-line newspaper, The Times of Israel, in 2012, Klarman (shown here) established himself as a major Zionist player in both the U.S. and Israel.